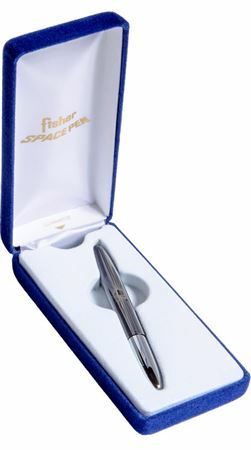 Order your Fisher Special Edition 70th Anniversary Space Ballpoint Pen today from FahrneysPens.com. Fine Pens, Refills & Luxurious Gifts – great prices & fast shipping. 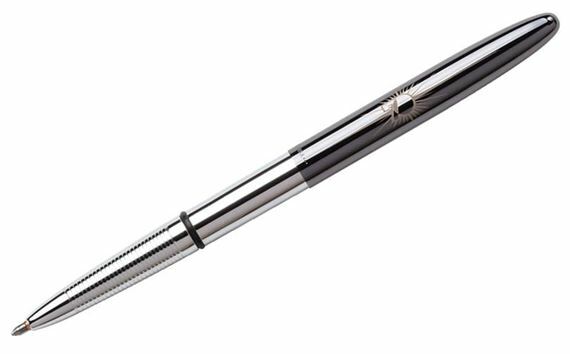 For the past 70 years and counting, the design of the Bullet Space Pen has dependably delivered the very best in both visual appeal & utility, and Fisher proudly celebrates that legacy with this beautiful 70th Anniversary Special Edition Bullet Space Pen, featuring a pen body in classic chrome and a sleek black titanium cap with a unique, custom laser engraving. 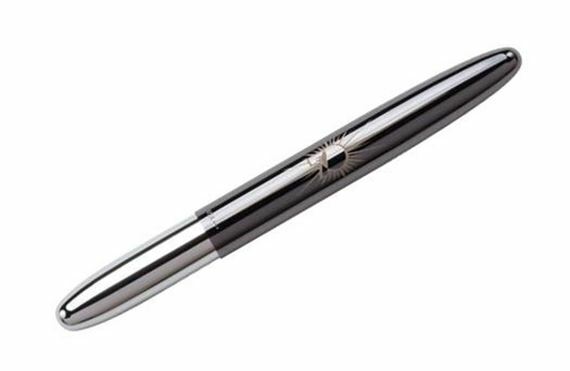 With a closed length of only 3.77’’, the Bullet Space Pen remains the perfect companion to carry comfortably in your pocket, wallet, purse, car glove box, day planner, or toolbox. When opened, its length extends to 5.35’’, transforming it into a fully sized, evenly balanced writing instrument. Cited as an outstanding example of industrial art, the time-tested design of the Fisher Bullet Pen holds a place in the permanent collection in the New York Museum of Modern Art - Its elegant styling has been the topic of many art books & magazine articles, and it has also been widely showcased in film & television as well, including being gifted to the late Johnny Carson by his guest Rob Reiner, and of course its appearance as a guest star of a hilarious episode of Seinfeld, fittingly entitled ‘The Pen’. The original Bullet Space Pen was conceived in July of 1948 by Paul Fisher, who was soon machining a new pen design shaped from solid aluminum - This became the first Fisher ball point pen, the #400 Bullet Pen, arguably the most popular pen design of the twentieth century, and certainly Fisher's most popular pen today!